On Friday 19 June 2015, President Barack Obama recorded an interview with Marc Maron on his podcast, WTF With Marc Maron. The interview aired on Monday. The interview lasts almost an hour. It touches on a wide range of topics—the President's youth; some of his policy successes and failures; his view of the democratic process; and a bit about how the President functions as a private person while President. Of course, the podcast begins with Mr Maron's stewing about the This & That of the interview. 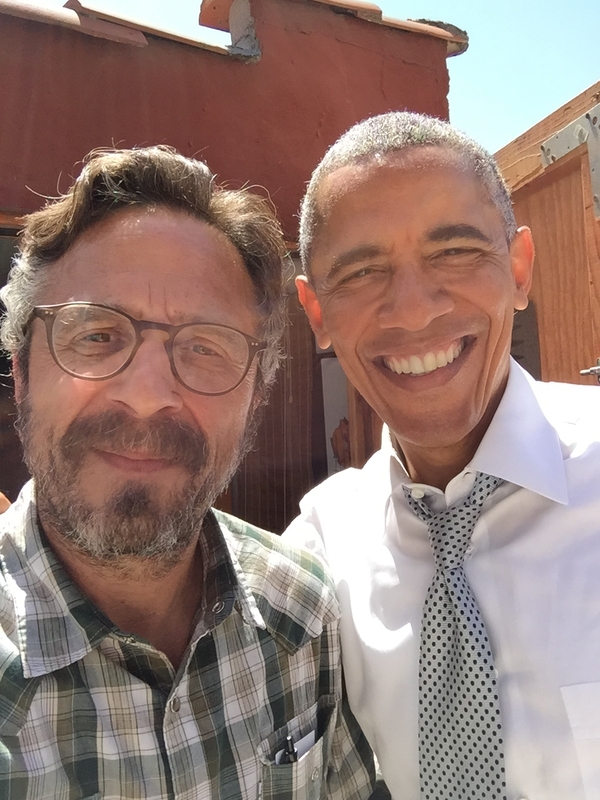 First, Mr Maron is a deft interviewer and an enthusiastic listener; he has no apparent political axe to grind, no particular political expertise (which is not to say he lacks the powers of observation); and he has a great interest in inviting his interviewees to explore their subject matter. Second, the President responded with similar interest, enthusiasm and depth.